Newest best sub ohm kit sigelei GW 257W, made of high-quality zinc alloy material, three fashionable colors available. the kit includes GW 257 mod and tank. 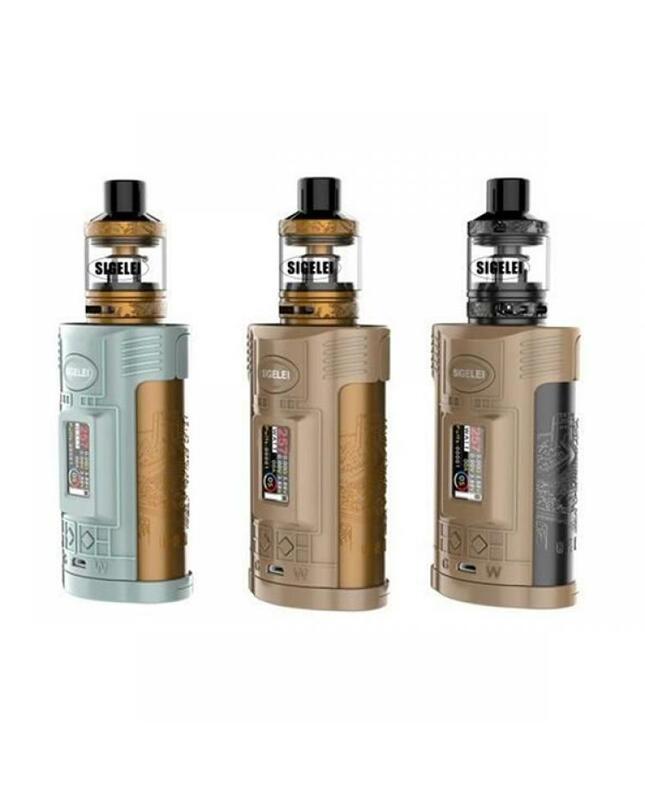 the sigelei new vape mod powered by 2pcs 20700, 2ps 21700 or 2pcs 18650 batteries and max output 257watts, different working modes selectable, supports resistance as low as 0.05ohm, NI, SS, TI and TCR coil heads supported. the sigelei GW mod with 1inch TFT colorful screen will show you the vaping data clearly. the tank can hold 4.5ml e juice, top refill and bottom large airflow adjustable design, will produce a large cloud of vapor or better taste of flavor, bring you better vaping experience.